You've been there: It is 2am and you're still working on a project. This sucker has taken up way more time than you thought possible. You know what time the alarm is set for, and that time is drawing nearer. You're so close to being finished... but your eyelids are getting heavier and the silence of your sleeping family is pulling you into dreamland. So you do the unthinkable. You slap those last pieces together and turn in for the night. 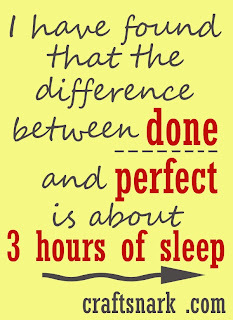 Because let's face it, sometimes it is better to be done than to be perfect. 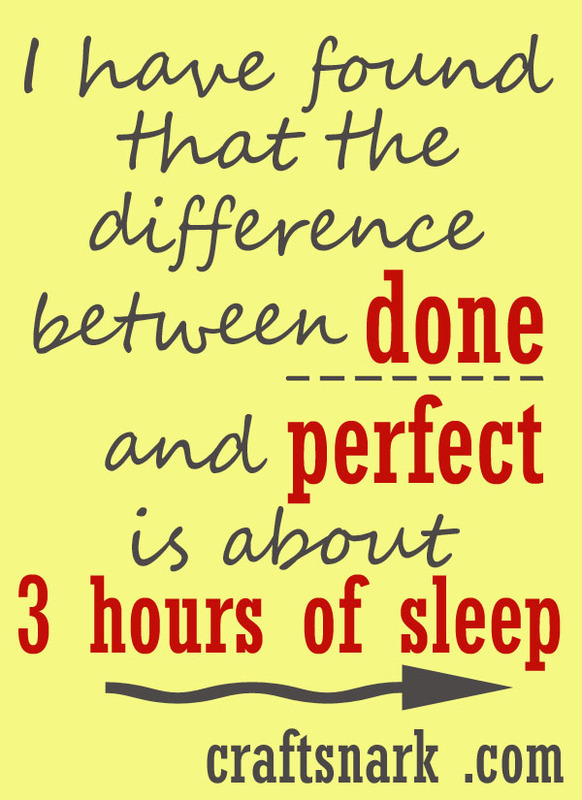 Because the difference between done and perfect ... well that's about 3 hours of sleep.